The Thyssen-Bornemisza Museum sits close to two of Madrid’s other famous museums to form part of the city’s ‘Golden Triangle’ of galleries. As home to one of Madrid’s finest private art collections, it’s no surprise that the lines to gain entry often exceed an hour! Instead of standing in line, enjoy fast-track access to the museum’s collection and a 1.5-hour private tour. Discover some of Spain’s finest artwork such as Edgar Degas’ ‘Swaying Dancer,’ and gain insight into the country’s rich art heritage while enjoying personalized commentary. After skipping the museum entrance lines, meet your guide and start your tour. 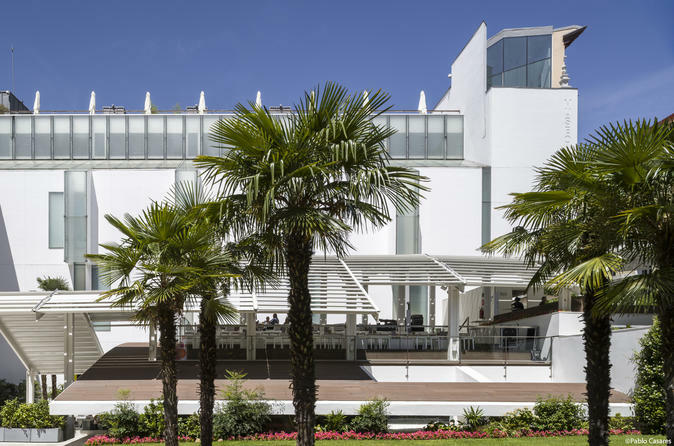 The Thyssen-Bornemisza Museum holds more than 1,000 works of art, and covers almost every genre of art from medieval and Gothic styles to experimental avant-garde works from the early 20th century. Impressionists and cubists are also well represented, bringing a wonderful blend of old and new to the vast collection. As you explore the galleries and halls of the museum, let your private guide draw your attention to the many beautiful artworks on show. Discover pieces from some of the finest artists and painters from Europe and further afield, and immerse yourself in the museum’s breathtaking range of styles and media. If there is anything particular that you are interested in, simply let your guide know. One of the benefits of having a private guide is that the commentary is tailored to your interests. Discover paintings from the German expressionists, French impressionists and many other masterpieces from the early 20th century, too. Many 19th-century North American artists also feature in the collection. See works by luminaries such as Canaletto, Cezanne, Dalí, Kandinsky, Matisse, Monet, Picasso, Rembrandt, Rubens and Van Gogh; and discover museum highlights including Picasso’s Harlequin with a Mirror. Hear intriguing stories behind many of the museum’s most famous works, and gain insight into the minds of the talented artists that created them. The focus of Thyssen-Bornemisza Museum is on portraiture and landscape art, and it’s this focus that sets the museum apart from other galleries in the city. After 1.5 hours exploring the museum, your tour concludes at the information desk.